We have done this twice now. 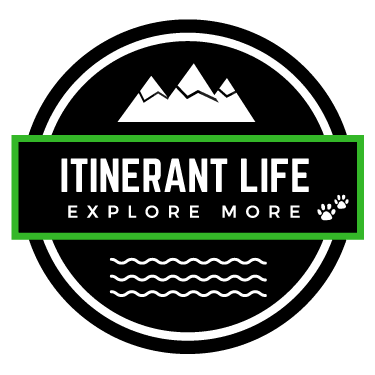 We are by no means experts at this, but here is a list of tips from OUR experience (read part 1 and part 2 on our buying journey). Your list might be different, as everyone has different needs and motivating factors. But hopefully there is something in the list that might help you! Don’t depend on the usual channels like RVTrader for your search! Many dealers don’t list their inventory on those websites, so you’ll miss out on potential options! Google the brand you like, or even the model you might be interested in. Also check out Facebook groups (e.g RV Classifieds), or use the ‘search’ function in Facebook to search for ‘RV for sale’ or ‘RV Tiffin for sale’. Sometimes size matters. Sometimes a foot makes a difference. I really didn’t feel comfortable with a 37 footer. However, we ended up buying a 36ft. That foot was an acceptable compromise for me (remember, I didn’t want anything more than a 35ft!) So include models with a foot or two on either side of your comfort zone – just in case. Don’t compromise. But be flexible. John got really excited when we started calling dealers and began negotiating. We were supposed to buy in 2017, but he was ready to buy now. He had the buying bug. But I stood my ground – I wanted to make sure we got a good deal, and didn’t rush into something just to get something. I also made sure I was flexible enough if a decent deal came our way. “Live” in it. For a few hours. Sit on the sofa. Turn on the TV. Sit at the dinette or dining table. Pretend to cook in the kitchen, take a shower, and sleep on the bed. Does it feel comfortable? Is something bothering you about the layout? Remember, the dealers are working for you. So don’t worry about wasting their time. Test drive it. Many dealers seem to have a problem with letting a buyer test drive an RV. But stand your ground. You want to make sure you’re comfortable driving it! 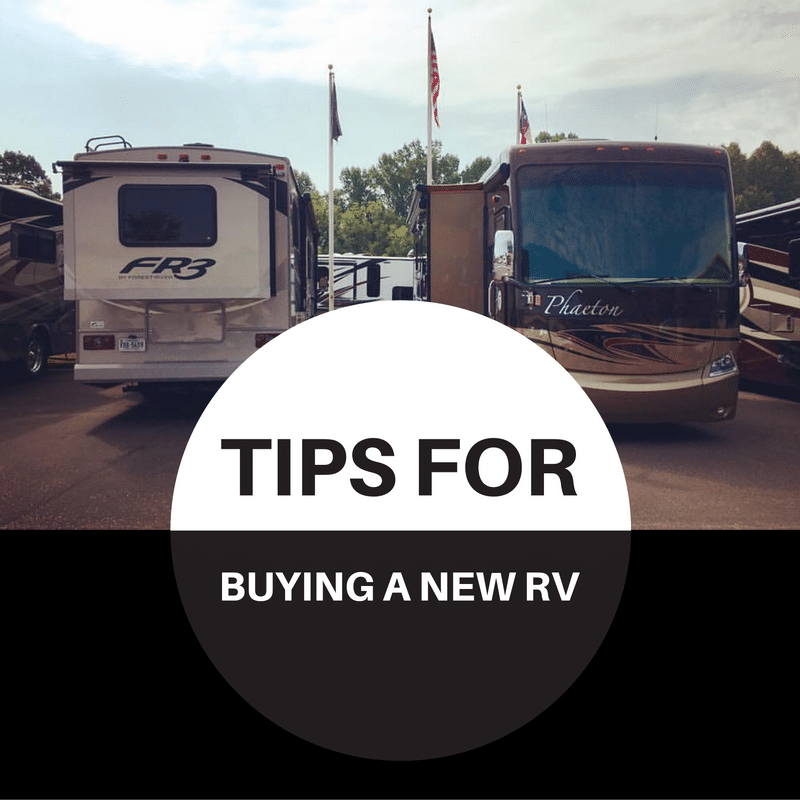 BONUS: When we drove the RV with the sales guy, he gave us a couple of tips that we would have never known otherwise. (Who knew that you could use the emergency break if your rig starts to sway out of control, to keep the RV straight while it slows itself down!) AND he pushed John to do some tight maneuvers that he would never have attempted on his own! Don’t let (some) issues be deal breakers. There will be issues with any RV. But try not to get hung up on the small things that either you or the dealer can fix. There are so many things you can fix yourself that sometimes it is worth buying the RV anyway. The Internet is your friend, and YouTube is your BFF! There is more than likely a video, or a blog or website that will walk you through fixes. Negotiate. As with any real estate, everything is negotiable! Every single dealer we were working with budged on their “rock bottom price” numerous times. We were surprised by one dealer who refused to budge on the list price of a 33aa. Apparently they don’t understand the art of negotiation – make the customer feel like they’re walking away with a deal. If we can’t negotiate, then I don’t feel satisfied in the deal. We walked away from that one. There are always others! Part 2: Buying a new RV. Our steps to success!